My Cluttered Corner: F to the 5th Power - Top 5 Crafty Storage and Organization Supplies! 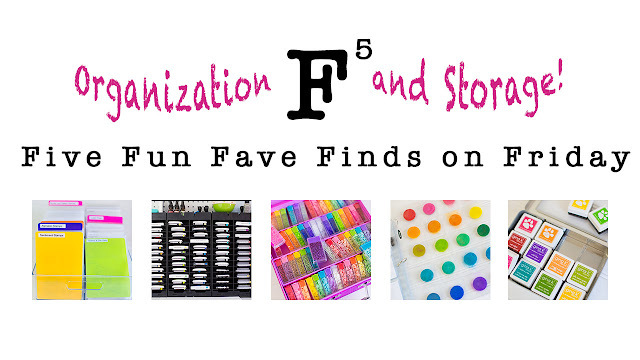 F to the 5th Power - Top 5 Crafty Storage and Organization Supplies! Hi everyone! It's been a while since I posted an F5th power video and today's is a special episode! Today I am sharing my top 5 favorite crafty storage and organization supplies! First up, I get asked a lot about ink pad storage. 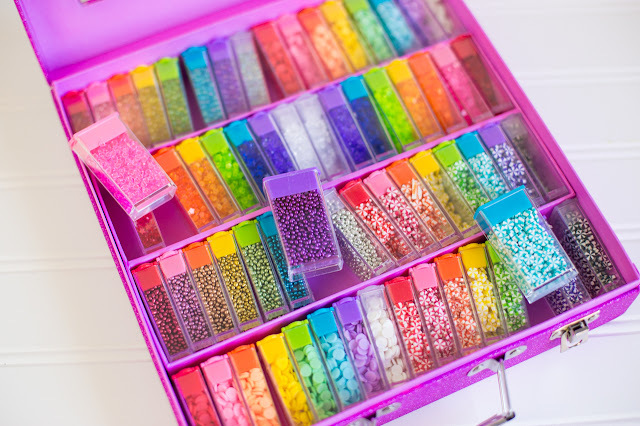 I have been using the Best Craft Organizer Portaink storage for years. They are much more affordable than some of the other wood organizers I have seen, which saves me money so I can buy more ink pads lol! 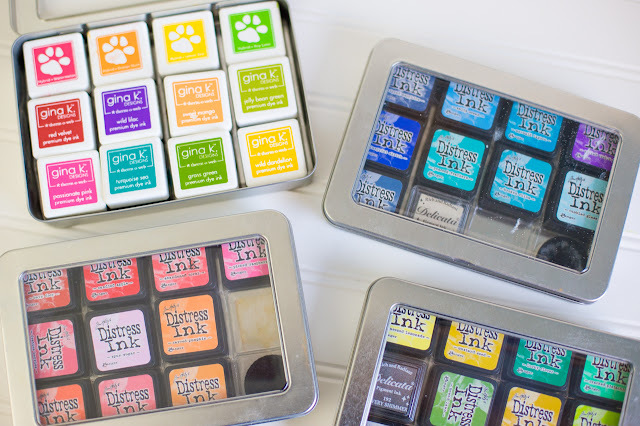 I love that they fit so many ink pads in one unit and that there is room at the top for re-inkers, stamp cleaners and other items. Next up, is my favorite way to store ink cubes. My collection of ink cubes started with Distress Ink cubes, but it has taken on a life of it's own with these Gina K for Therm O Web cubes and the Simon Says Stamp Hybrid cubes too! 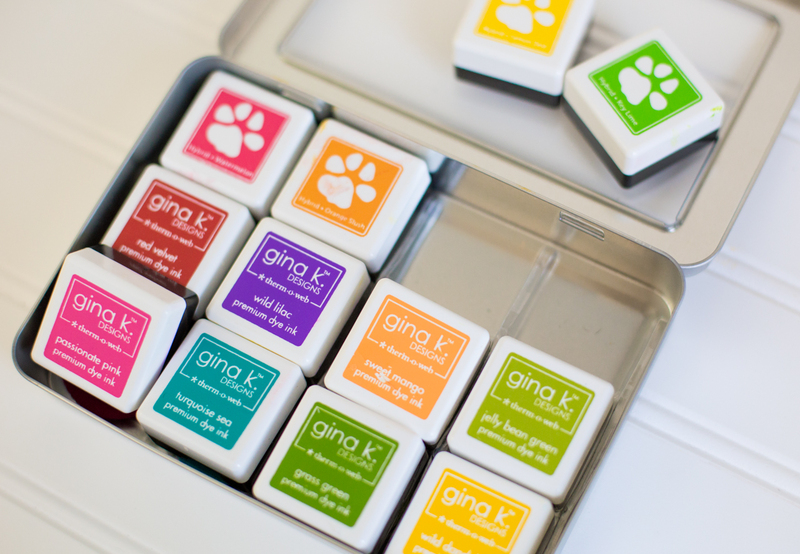 I like that I can keep my Distress Ink foam blenders under the cubes too! Speaking of foam blenders...I DONT like to keep my foam blenders under my Distress Oxide pads because I don't like getting ink on things when I set them down. 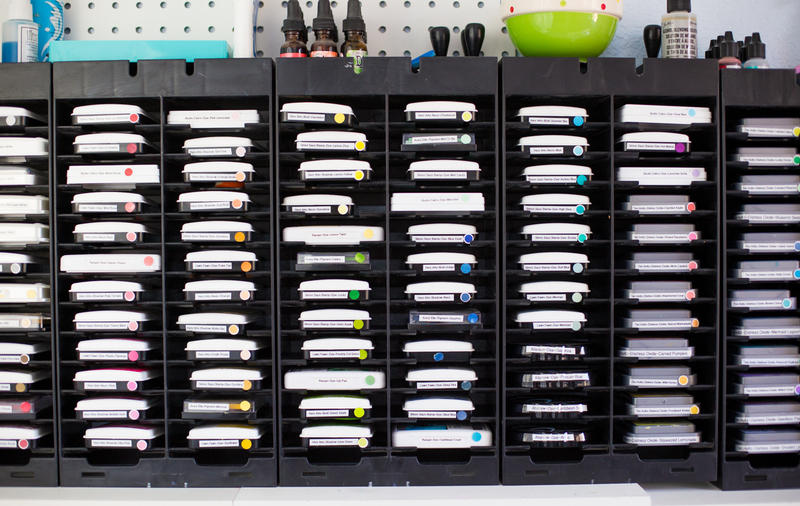 So instead, I use a sheet of my Ink Swatch storage, which is basically a coin holder. 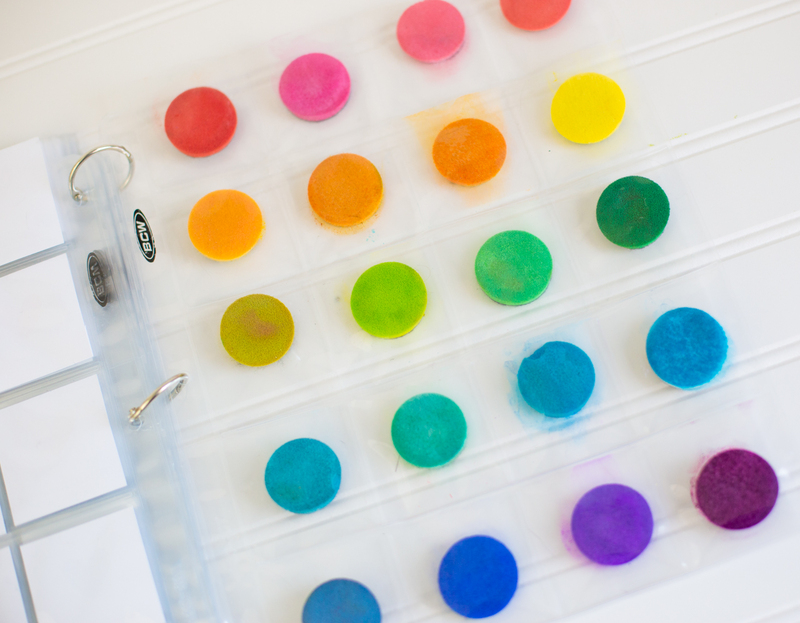 If you are not already using Jennifer McGuire's method to swatch your inks, you must check it out (I have it linked in my video below). Next up, is the Queen and Co Trunk storage! 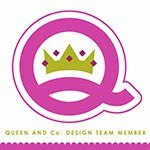 I love keeping all my Queen and Co shaker Toppings in one place and if I am crafting on the go, there are latches and a handle! Finally, I wanted to share my favorite Interdesign Storage bin. 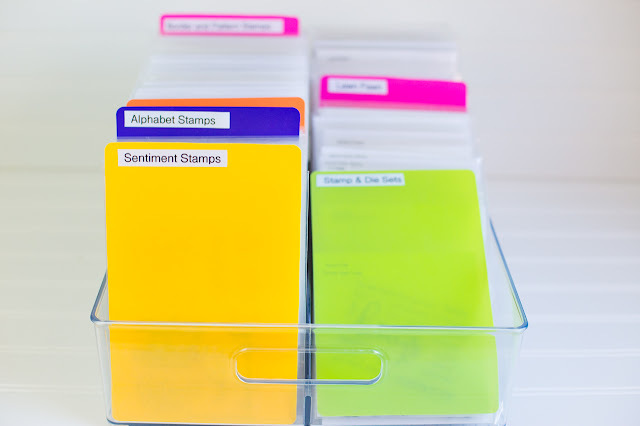 I have several sizes of the Interdesign bins to store many different items, but this divided bin is the perfect way to store my stamps and dies. 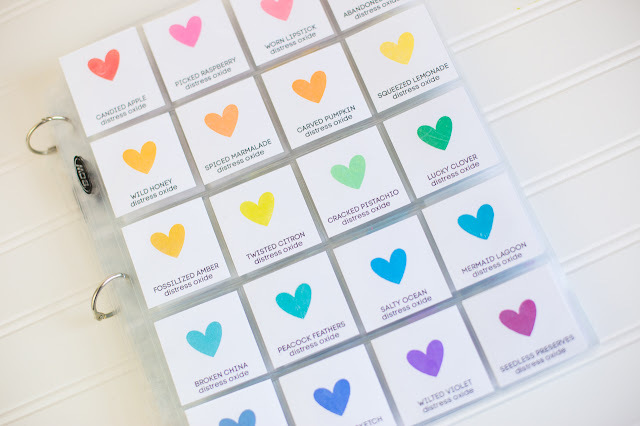 I have two next to each other and I love that the Avery Elle Stamp and Die Storage pockets fit inside perfectly! 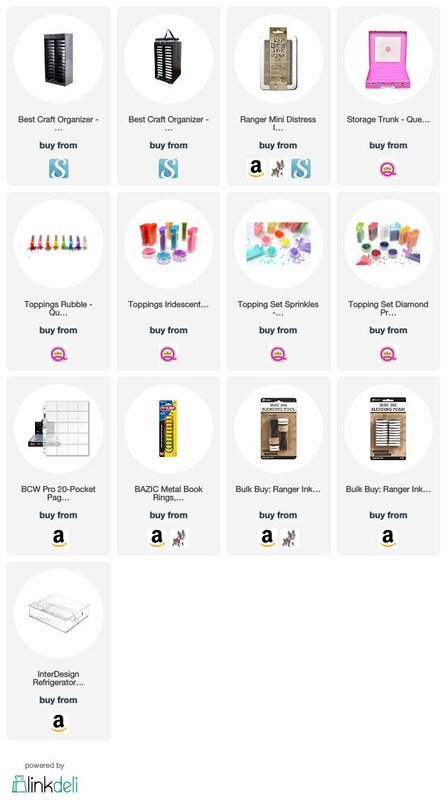 If you want to check out these storage and organization supplies, I have them all linked down below! Thanks so much for stopping by!